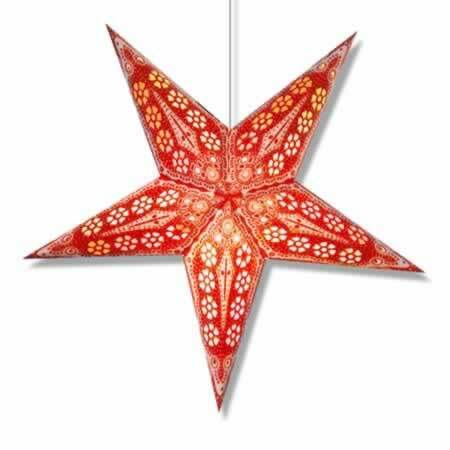 This star lamp design has daisy flower designs with the petals cut out and tissue paper inserted inside for a great stained glass effect. Includes complete assembly instructions. Star lamp measures about 24" from tip to tip. Shipped flat. 12' electric cord with on/off switch optional for $6 more. 40 watt light bulb not included.